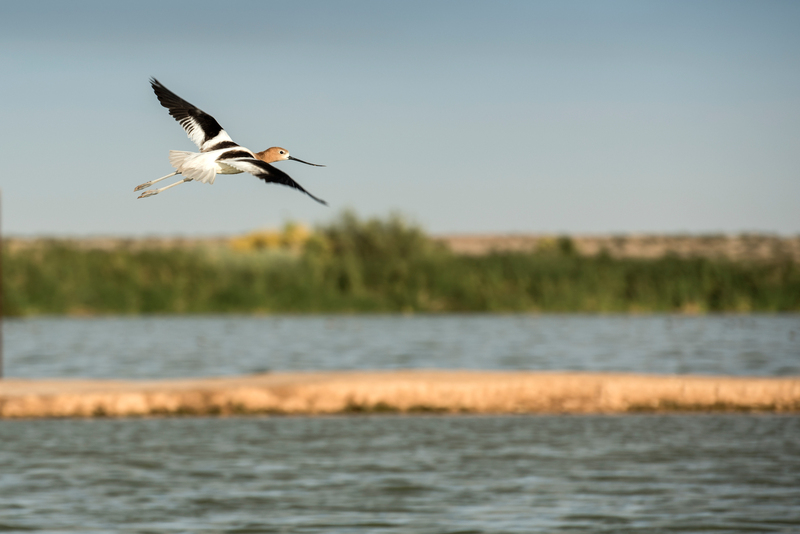 Collaboration between the U.S. and Mexico—supported by a coalition of nonprofits including Audubon—which resulted in a pulse flow through the Colorado River Delta, lead to a 20% increase in bird abundance and a 42% increase in bird diversity. A new study from the International Boundary and Water Commission (IBWC), which also showed an increase in greenness along the river corridor, demonstrates the importance of binational cooperation between the two countries for environmental causes. In 2012, the United States and Mexico adopted Minute 319, an innovative agreement to change how Colorado River water is managed at the border. Raise the River is a unique partnership of six U.S. and Mexican NGOs committed to restoring the Colorado River Delta. In addition to Audubon, members include: The Nature Conservancy, Pronatura Noroeste, the Redford Center, Restauremos El Colorado, and the Sonoran Institute. 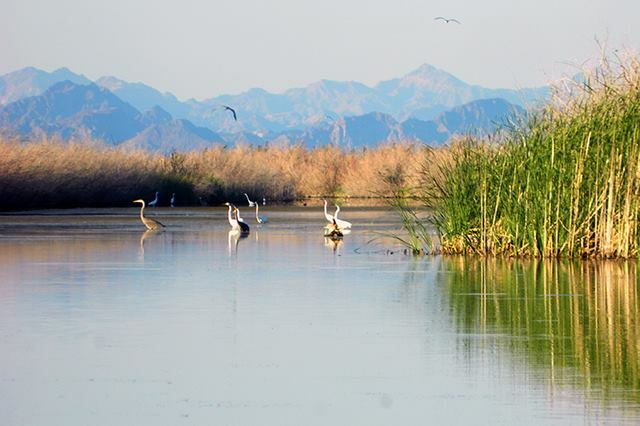 The coalition has worked with policymakers, water agencies and governmental representatives from the U.S. and Mexico since 2012 to cooperatively create historic change for the Colorado River Delta. 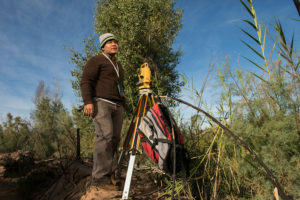 Now, one year after the end of Minute 319 (and the extension of its measures under a new agreement known as Minute 323), the U.S. and Mexican sections of the International Boundary and Water Commission published conclusions of a binational science team that monitored impacts, comprised of federal, university, and NGO researchers. Audubon helped lead these efforts with binational conservation partners. The science gives us lessons learned that can be applied as water is delivered and new habitat is created under Minute 323. Included in Minute 323 were provisions to share Colorado River water surpluses and shortages, and to incentivize water conservation (especially keeping more water in Lake Mead). These measures look more important than ever as we approach the first-ever declared shortages on the Lower Colorado. The Western Water Initiative is Audubon’s multi-state effort to protect the Colorado River and the West’s network of Saline Lakes. Some 65,000 members strong and growing, the network advocates for science-based, non-partisan water policies and management that benefit rivers and lakes for the birds, wildlife, habitats, cities, and economies they support. To learn more, visit: www.audubon.org/westernwater. 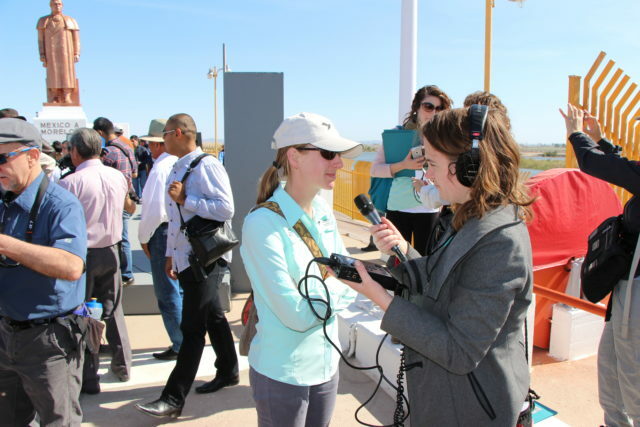 A first-hand account of what it has been like being a member of the Science Team measuring the results of the 2014 Pulse Flow and subsequent water deliveries into the Colorado River Delta by Karen Schlatter. 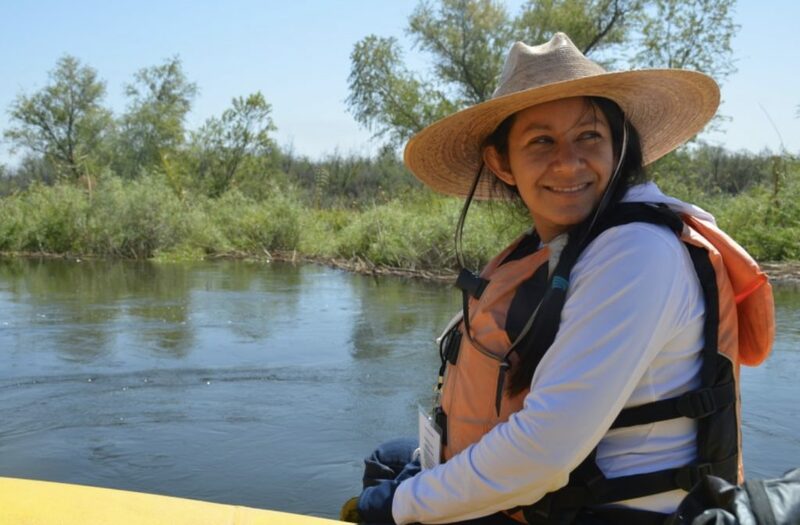 Cooperation between the U.S. and Mexico governments, supported by a coalition of non-profit organizations, has demonstrated the power of community to achieve environmental benefits as recently released scientific findings in the Colorado River Delta have documented. On November 28, 2018, the International Boundary Water Commission (IBWC) published the “Minute 319 Colorado River Limitrophe and Delta Environmental Flows Monitoring Final Report“, the final report on the environmental impact of planned water deliveries to the riparian corridor of the Colorado River along the U.S.-Mexico border and Delta from 2013 through 2017. An interim report on the environmental impact of this 2014 pulse flow was published on October 21, 2016. As one of the world’s most endangered rivers, the Colorado River is depleted by upstream dams and water diversions for farms and cities in both countries before it meets its natural end in the Gulf of California. Its delta, once a vast region of vibrant habitat for wildlife and migrating birds, is now dry, as the river stops 70 miles short of the sea. 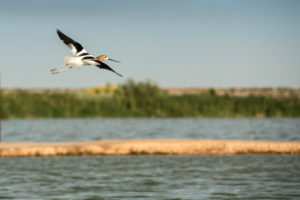 A unique and landmark bi-national collaborative effort to revive the dry delta landscape on behalf of the environment came to fruition in 2012 with the passing of a binational agreement between the U.S. and Mexico to restore habitat and dedicate water to the Delta. 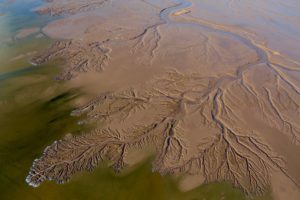 The agreement called for an engineered release of water into the region in 2014 – known as a ‘pulse flow’ – which flooded the dry Colorado riverbed in the Delta and reconnected habitats, wildlife, and local communities with the river for the first time in decades. The U.S. and Mexico sections of the International Boundary and Water Commission (IBWC and CILA, respectively) are federal agencies that negotiate and implement binational water treaties and water allocations. In 2012, the IBWC and CILA successfully negotiated Minute 319, an agreement that helps the two countries better implement the 1944 U.S.-Mexico Water Treaty under current basin conditions (these types of supplementary treaty agreements are referred to as ‘Minutes’). Minute 319 has provided multiple benefits for water users on both sides of the border and is a result of the extraordinary binational collaboration among government agencies, conservation organizations, water users, and other Delta stakeholders. In addition to the water flows for the environment, it more broadly has provided for the U.S. and Mexico to share surpluses in times of plenty and reductions in times of drought, offered incentives for leaving water in storage, and conserved water through joint investments in projects from water users in both countries. The agreement also served to recognize the Colorado River Delta as a place of ecological significance for both countries. Following the signing of Minute 319, Colorado River stakeholders and a multinational, multidisciplinary, multi-organizational science team worked for over a year to prepare for implementation of the Minute, including designing the pulse flow and establishing the monitoring program to assess its hydrologic and ecological responses. Then, from March 23 to May 18, 2014, 105,392 acre-feet (130 million cubic meters [mcm]) of water was released from Morelos Dam into the dry Delta, flooding more than 4,000 acres of riverbed landscape, and once again – briefly – the river met the sea for the first time since 2001. Following the pulse flow, small amounts of water known as base flows were periodically released into the Delta to maintain and augment the pulse flow’s effects and maintain existing and restored habitat. A total of 57,621 acre-feet (71 mcm) of base flow deliveries were made during the five-year term of the Minute, ending December 31, 2017. An important inclusion of the Minute was the requirement for ongoing scientific monitoring of results to help inform more effective applications of environmental water in the future. This work was conducted by a binational team of scientists led jointly by the University of Arizona, Sonoran Institute, The Nature Conservancy, and El Colegio de la Frontera Norte (COLEF). Included among the researchers were environmental experts from The Nature Conservancy, Pronatura Noroeste, and the Sonoran Institute. These three organizations are all members of Raise the River, a coalition of conservation organizations working to protect and restore the Colorado River Delta. Other members of Raise the River include the National Audubon Society, The Redford Center, and Restauremos El Colorado. “Like the pulse flow itself, this report was a binational collaboration. Scientists from government agencies, academia, and conservation organizations on both sides of the border contributed to the monitoring efforts,” said Eloise Kendy, a senior freshwater scientist with The Nature Conservancy. More than sixty scientists from universities, government agencies, and nongovernmental organizations from both Mexico and the U.S. were involved in either conducting the research or preparing the report, including El Colegio de la Frontera Norte, Pronatura Noroeste, The Nature Conservancy, Sonoran Institute, the Universidad Autónoma de Baja California, the University of Arizona, the U.S. Geological Survey, and the U.S. Bureau of Reclamation. 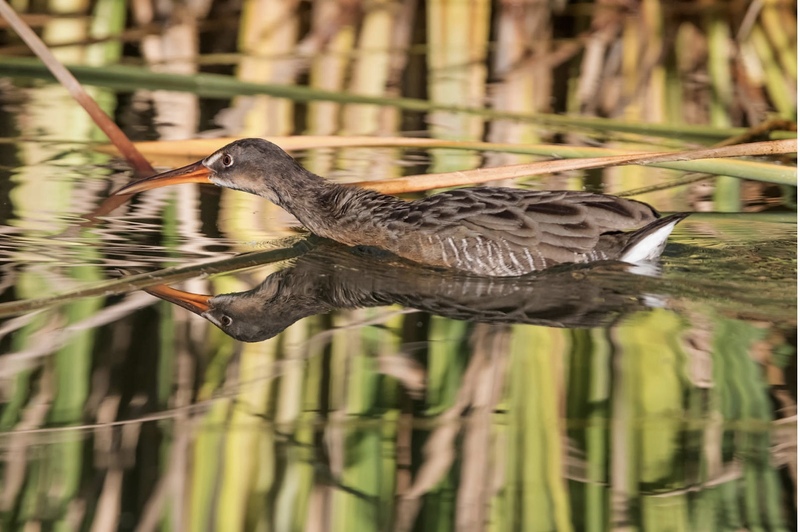 The study results published on November 28, 2018, detailed the changes in birds, plants, and groundwater in the delta since the pulse flow, which signifies that these ongoing water flows in the Colorado River Basin are helping to restore the native environment and bring back native flora and fauna to the arid Colorado River delta. Not only was this the first‐ever scheduled delivery of water by the United States or Mexico into the Colorado River delta dedicated to improving the environment, but it was also the first time to have a formal monitoring program in place to measure the ecosystem response. The research effort was coordinated by a binational Environmental Work Group, established to oversee the monitoring process under Minute 319. Plants: Plants thrived in the river floodplain following the pulse flow in 2014, with a 17% increase in vegetation greenness, a measure of plant health. Greenness declined in subsequent years. Three managed habitat restoration sites were established or expanded, totaling 915 acres (371 hectares); in addition, 145 acres (59 hectares) were passively restored. More than 275,000 trees were planted, and year-to-year survival rates ranged from 75% to 95%. Native plants – including cottonwood, mesquite, and willow trees grew much better in restoration areas where non-native vegetation was removed before the pulse flow, as well as in actively managed areas. Birds: The abundance and diversity of birds in the riparian corridor increased in 2014 after the pulse flow but declined thereafter. The abundance and diversity of birds continues to be greater in restoration sites than in non-restored areas of the riparian corridor and remains higher than it was before the pulse flow. In 2017, bird diversity was 27% higher and the abundance of the 15 indicator species was 80% higher in the restoration areas than in the rest of the floodplain. Groundwater: Results indicated that the pulse flow also recharged groundwater in the Delta, an important resource for riparian tree and shrub species – as well as for local farmers who irrigate with pumped groundwater. While social science was not a part of the study, the impact upon the neighboring communities was significant. Beyond wildlife, when the pulse flow occurred, it brought together local residents, including older generations who remembered the river, and younger generations who had never before seen it flow. In the subsequent years, Raise the River organizations have employed local community members for on-the-ground restoration work, conducted environmental education programs for area students of all ages, and have offered recreational and tree-planting days in the restoration sites. All of these activities have served to integrate the ongoing active restoration work into the fabric of the community. Less than 1 percent of the Colorado’s historic flow to the delta was returned by the flows sanctioned under Minute 319, yet the strategic timing and placement of the water supported the thesis that a small amount of water is sufficient to restore crucial habitat for the birds and wildlife that have historically lived in the delta. It also provided lessons learned to be applied to future water deliveries. 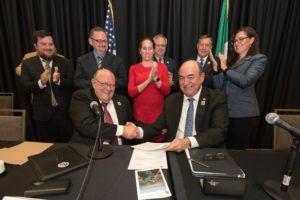 Minute 319 concluded in December 2017, and in September 2017 government officials, researchers, and coalition members of Raise the River successfully negotiated a successor agreement, Minute 323, to support continued cooperative work between Mexico and the U.S., covering a nine-year period through 2026. 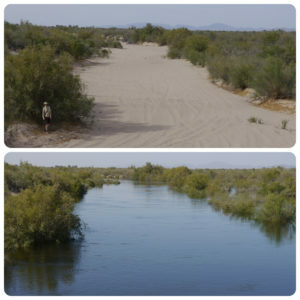 Minute 323 commits the United States and Mexico to work together to address potential Colorado River water shortages and to meet new water conservation and storage objectives. It represents the joint efforts of local, state, and the federal governments of both countries to set a course for a more secure water future for the more than 36 million people who rely on the Colorado River in the United States and Mexico. The binational collaboration significantly advanced knowledge about how to restore native habitat in this region and how water supports the ecosystem. The results of this binational investigation provided a foundation of data and analysis which will inform future cooperative actions. The report results confirm that the environmental flows created new habitat, and increased bird diversity. The broader results of this work also included a meaningful reconnection of local communities to the environment, as well as garnering broad community and philanthropic funder support. Just as the report showed that active restoration sites achieved the highest success rate, is also underscores the fact that the restoration of the delta is a long-term process. 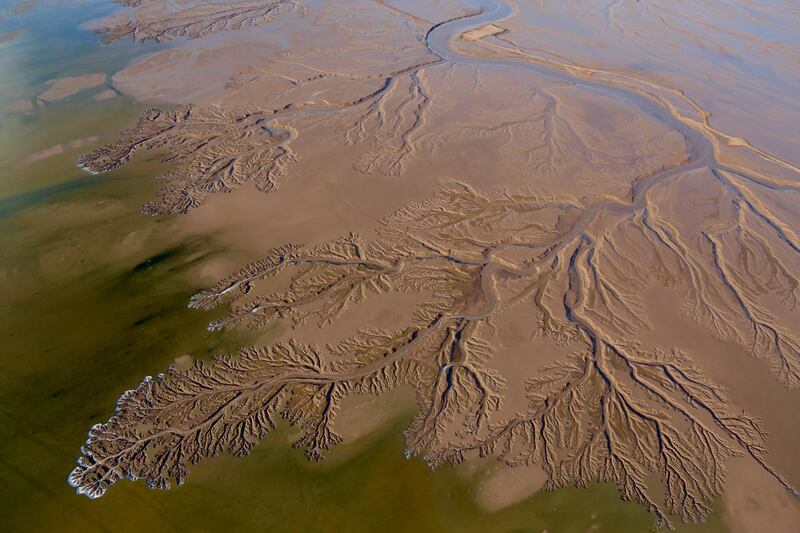 Working together, greater good can result, as the recent final monitoring report on the environmental water deliveries into the Colorado River Delta has validated. Happy Colorado River Day: Students in the Delta Campaign! 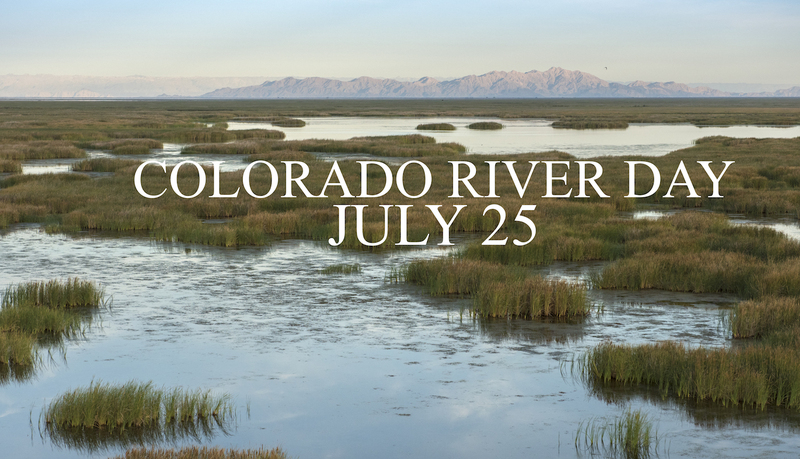 Colorado River Day is honored each year on July 25th as a day in which people come together across divides in support of maintaining a sustainable Colorado River. We’re celebrating this mighty river that we are helping to restore by launching a new fundraising campaign to bring students from the Delta region to our Laguna Grande restoration site. 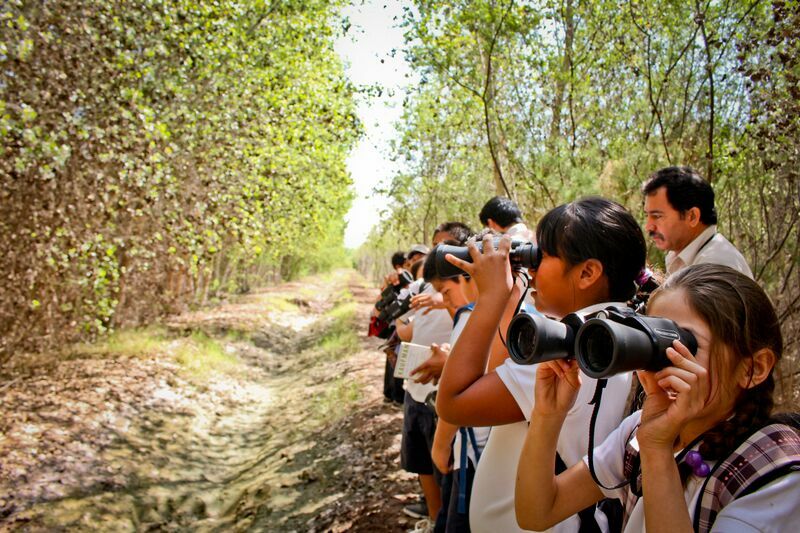 From July 25 to October 31, Raise the River is looking to raise $1,500 in donations to support 300 Student Field Visits to our new Interactive Center at the Laguna Grande Restoration Site. 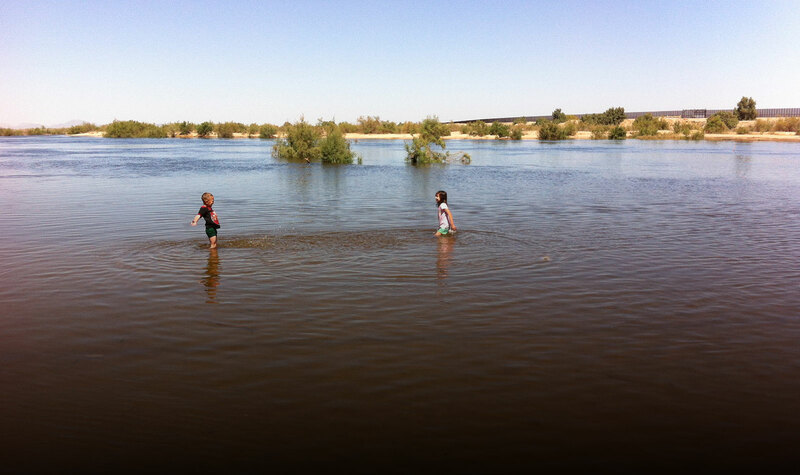 These visits help foster a sense of connection to the Colorado River in a generation of youth that has grown up without ever experiencing the river flow alongside their towns. This area of the Delta is now dry and barren, with the exception of a collection of restoration sites. Through active management at these sites, we are working to bring water and life back to this region. Join us – any amount will help! 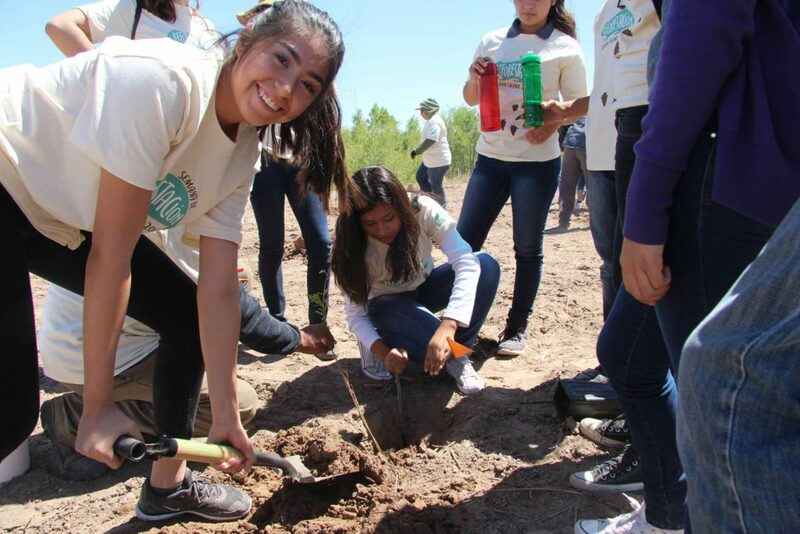 – and be a part of this campaign to connect local students with the Colorado River. Visit our Rally Fundraising site to donate, and be a part of bringing water and life back to the Colorado River Delta region.